St. Louis himself is Louis IX, king of France between 1226 and 1270 (he was canonized in 1297). 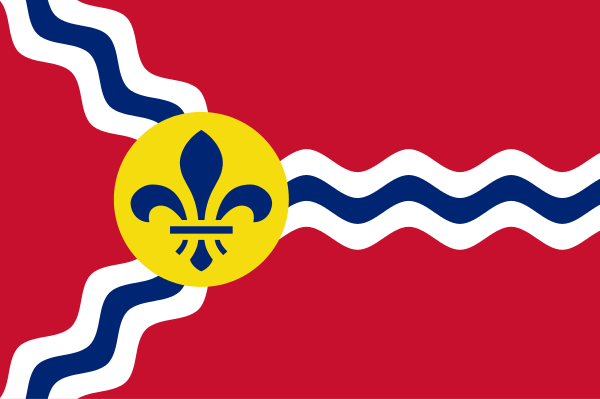 It is only appropriate that his namesake city be represented by a fleur de lys, the royal symbol of France, situated at the confluence of wavy lines, representing the Missouri and Mississippi Rivers. The flag, the brainchild of Yale art professor Theodore Sizer, turned 50 last year. 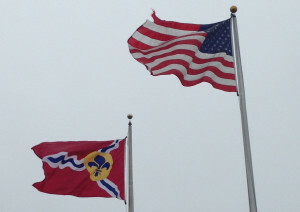 Correspondent Duncan Sutherland brought this TED talk by Roman Mars to my attention: Why city flags may be the worst-designed thing you’ve never noticed. 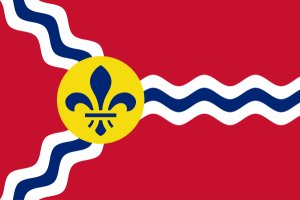 His primary positive example is Chicago’s flag (which is indeed very good) but he could also have been talking about St. Louis’s. This entry was posted in Design, Flags, Heraldry by jgood. Bookmark the permalink.